Have you been searching for a midsize sedan that can tackle all of your driving needs and provide you with a comfortable ride? 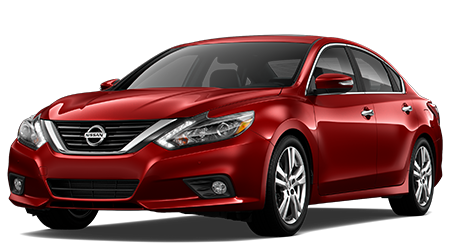 If so, be sure to visit Headquarter Nissan in Columbus, GA. At our dealership, motorists can survey a large assortment of Nissans in stock including the 2016 Nissan Altima. As one of Georgia's top-rated Nissan dealerships, Headquarter Nissan has served Ft. Benning, Cataula, Lagrange, Phenix City and Auburn, GA for an extended period of time with an excellent collection of cars in stock. Stop by Headquarter Nissan at 1725 Whittlesey Rd. and explore the new Altima today. There are a lot of great midsize sedans on the market today, so let's see how the 2016 Nissan Altima stacks up against the Honda Accord. As midsize sedans, the new Altima shines at tackling all of your daily needs. If you are looking for a midsize sedan that can save you money on fuel, the Altima is a clear option. The Altima comes with a 2.5-L four-cylinder engine that's matched to a Xtronic CVT, which helps the sedan return 27/39 mpg (city/hwy). 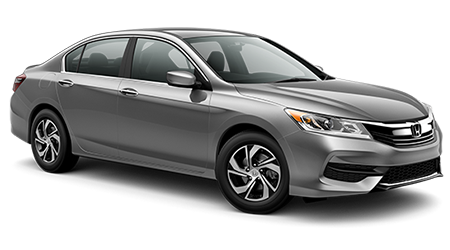 In comparison, the Accord's 2.4-L four-cylinder engine is matched to a 6-speed manual transmission that can return 23/34 mpg (city/hwy). To keep you comfortable on a regular basis, the Altima comes with a lengthy list of interior features. The Altima comes with a host of interior features that aren't standard on the Accord. Interior features on the Altima that aren't found on the Accord include: proximity key, cargo tie downs, locking glove box, leatherette door trim insert, rear reading lights and an illuminated glove box. To provide you with the peace of mind to enjoy driving the Altima on a routine basis, the midsize sedan has a lengthy warranty. The sedan comes with a 3-yr./36,000-mile basic warranty, 5-yr./60,000-mile powertrain warranty, and an unlimited-mile corrosion perforation warranty. If you have been searching for a versatile and capable midsize sedan, then check out the 2016 Nissan Altima. With the Altima's fuel-efficient powertrain, lengthy list of standard interior features and lengthy warranty, it has the edge over the Honda Accord. Come by Headquarter Nissan at 1725 Whittlesey Rd. and test drive the Altima today.